In November 2015, The Hockey Writers ranked the San Jose Sharks fan base at 17th best NHL fan base, based upon attendance, merchandise sales, TV ratings, social media engagement and attendance vs. performance during previous five seasons. In 2014, based upon similar criteria, Forbes ranked the fan base for the Sharks outside the top 10 and The Hockey News ranked the Sharks right in the middle of the pack at the 15th best fan base — consistent findings across various sources using similar criteria. On a more positive note, back in October 2103, Bleacher Report ranked the SAP Center, home of the San Jose Sharks as the eighth best NHL atmosphere. The goal of any business, including a sports franchise, is to increase company value through increased revenue and profits. For a sports franchise, it is primarily about TV money, but there are other measurements that are more easily visible. On ice performance, fan interest and the fan experience play a significant role in perceived, if not actual, team value. 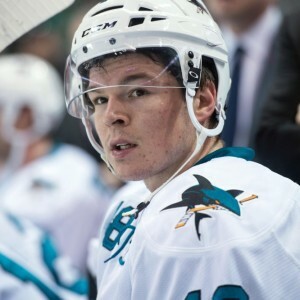 Having Hall of Fame quality players like Joe Thornton, high-performance veterans such as Brett Burns and Logan Courture and young up and coming stars like Martin Jones and Tomas Hertl certainly help fan interest. But even that is not enough. In the interest of improving the fan experience at SAP Center, the Sharks made some changes to the fan experience late in 2015-16 season and even more for the 2016-17 season. While ticket prices have increased, as they almost always do, and concession prices and offers have changed again, they are not the topic of discussion here. Below is a quick look at some of the recent customer experience changes — good, bad, and ugly — made by the Sharks recently. Live Organ Music – Think about the NHL arena experience in traditional NHL arenas in Montreal, Toronto, Detroit, Boston and others. All these venues have something in common — a live organ that sets the tone and dominates the atmosphere. Since the 2005 lockout, the Sharks have piped in loud rock music and pre-packaged sound into the arena. Late in the 2015-16 season, the Sharks re-installed an organ at SAP Center. Not only a welcome nod to tradition, but also easier on the ears of most fans. 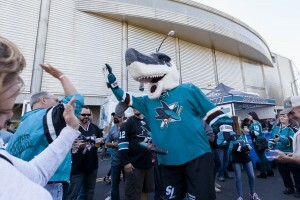 Sharks 365 Benefits – The Sharks new ‘Sharks 365’ program provides outstanding benefits to full-season ticket buyers. Added to previous benefits of pre-public sale for SAP Center events, discounts at the Sharks SAP Center store, full season ticket purchases now include a free Sharks Magazine for each game, access to arena lounges, discounted suite purchases and discounts for purchases from select Sharks business partners. As it should be, those that spend the most deserve the best benefits. 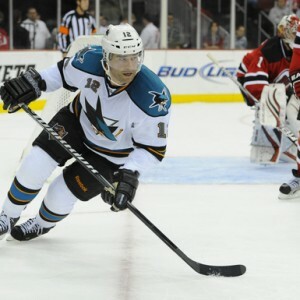 Six-Game Flex Plan – The Sharks added a six-game flex plan that provides purchasers with a choice of games that fit the personal schedule of the buyer. Sharks App – All fans have access to the new Sharks app for smartphones. The app allows fans to manage their tickets, gain access to purchase ticket upgrades, obtain in-seat food delivery, and provides access to live in-game stats. Access to in-game stats such as face-off record, time on ice, blocked shots and other stats is a fantastic benefit that is provided by the app. No more discounts for SharkPak holders – The Sharks eliminated benefits that were previously provided to SharkPak holders. No longer do the Pak holders receive any discount at the SAP Sharks store. Although it’s true, as stated above, that those that spend the most deserve the best benefits, it shouldn’t come at the expense of other loyal ticket buyers. Improved WiFi in Arena – The SAP Center has improved WiFi coverage throughout the property. This is a blessing and a problem. Access to the Internet and all the information available on the web is terrific. However, access to the Internet and all that information and social media and games provide increased distractions, especially for young fans, that take away from the hockey experience. There is nothing like live NHL hockey — it shows new fans how big and fast these athletes truly are. Improved WiFi merely increases the likelihood that fans will not see all they can when distracted by texts, tweets and other improved internet access. No more stat sheets – Fans are no longer provided paper stat sheets. For as long as the Sharks have existed, each fan attending a game had access to a game-day stat sheet. The sheet provided full rosters for both teams and brief news about each team and promoted upcoming Shark’s events. While the new Sharks app does provide the same information as the paper stat sheet, access to the app shifts focus from the ice to a phone. In this instance, technology does not improve access to information. The app also requires the use of a smartphone, something most, but not all fans seem to have. The smartphone requirement also requires data usage, a problem for fans with limited data plans. The old school paper stat sheets were great for learning opposing rosters and provided ease of access that the app does not. No more souvenir tickets – The Sharks used to provide fans with tickets that celebrated a specific player. These player pictures, which provided up close of player faces, something not easily seen behind a helmet and shield, were popular with younger fans and a collectible to be saved. These tickets were eliminated last season during the playoffs and were not even offered as an option for the 2016-17 season. Based upon the fact that the first two home games were announced as sellouts, it appears that the changes may help maintain strong tickets sales for the Sharks. However, because many of the fans in the lower bowl were disguised as empty seats, even for a rivalry game against the Anaheim Ducks, perhaps the number of sold tickets will not match the number of people in the arena and not allow fans to experience the fan experience enhancements. What other changes have you seen? What do you think about these changes to the in-arena experience? make sure to comment below or let us know on the THW Facebook Page or Twitter feed.